YOUR CHILD’S INTERACTIVE JOURNEY STARTS HERE! Whether they become a secret agent to aid a superhero family, or being the helping hand behind a magic mirror, Together Tales offers a one-of-a-kind reading experience that will captivate your imagination! 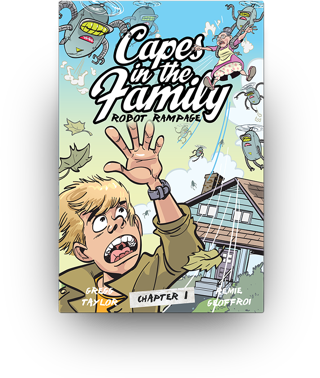 Nick and Norris think their family is boring until killer robots kidnap their grandparents! 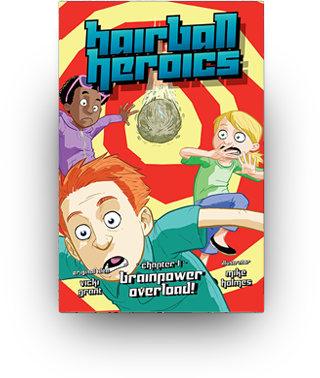 Meet ridiculous superheroes like the Scarlet Hippie and Atom Woman, who need your child’s help to defeat the evil Doctor Cyborg. Play as a secret agent and help them crack the case! 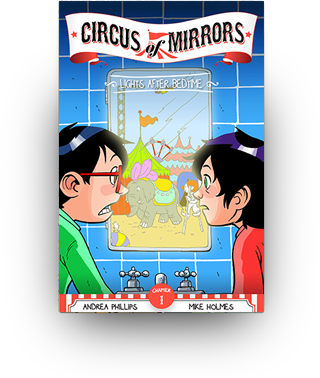 Rescue siblings Sofia and Max who are invited to a magical circus through an enchanted mirror. Meet whimsical characters like the Bearded Man and Strong Lady, and eat cotton candy made of thunderclouds! Join in through a magic mirror to help Sofia and Max find their way home. Best friends Talin, Yakira and Charlie are shocked to meet a tiny alien from a distant planet in desperate need of their help! 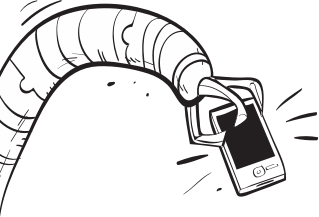 Join in via Talin's Cybersplorer app, and help them pilot a thought-powered spaceship, outwit robot guardians, and bring peace to planet Jelabi. Each Together Tales book takes the kids on an exciting adventure. But the characters can’t do it alone. 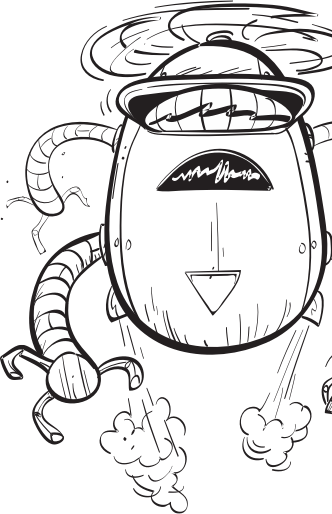 We need your child to help the story progress! The books arrive at your door as an Adventure Kit with each chapter separately bound and everything you need to create an amazing interactive experience inside. As your child begins reading, you’ll join us on our easy-to-use platform to start the magic for the whole family.